Kudos to Mariela and Barrett St. Onge, it is SO gratifying to read about Bolivians being successful and more in delicious ventures like this! Our food is great and deserves to be tried by all of you out there! What is Bolivian food? 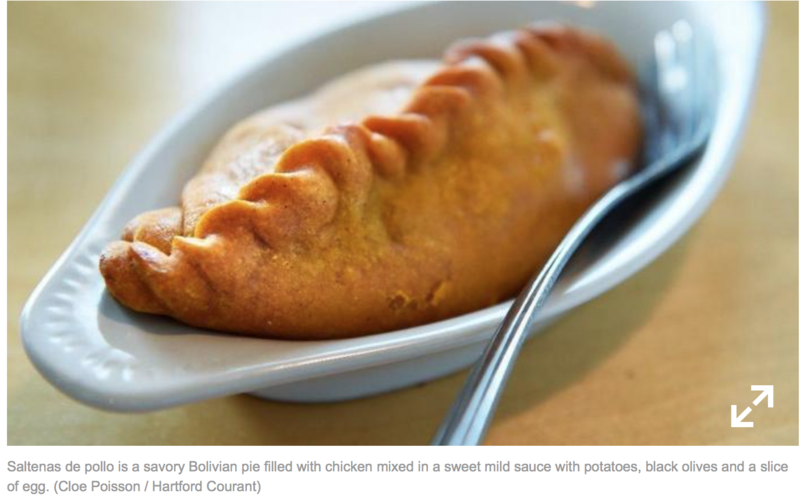 You may be asking that question even if you’re an experienced diner, as the South American cuisine is found at just a handful of restaurants in the Northeast. With the addition of La Familia in Canton, Connecticut now has its own dedicated spot for specialties like salteñas, pique a lo macho and sopa de mani. 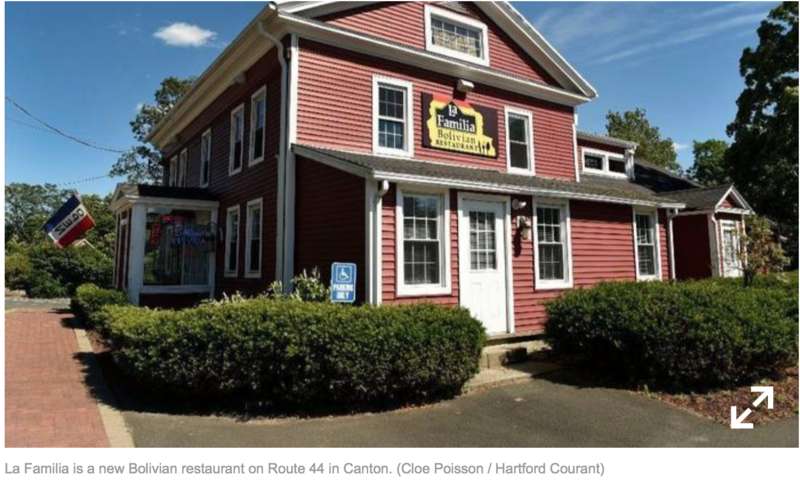 In mid-April, married couple Mariela and Barrett St. Onge opened their new Bolivian restaurant on Route 44, taking a two-story space that has been home to Margaritas, Char Koon 1800 and Tacos Dorados in recent years. Mariela, a native of Bolivia, came to the United States with her family when she was 15 years old. THE ATMOSPHERE: La Familia takes advantage of its building’s two-floor space, featuring a small bar and casual dining rooms on the first floor where guests are greeted by a large tricolor Bolivian flag. 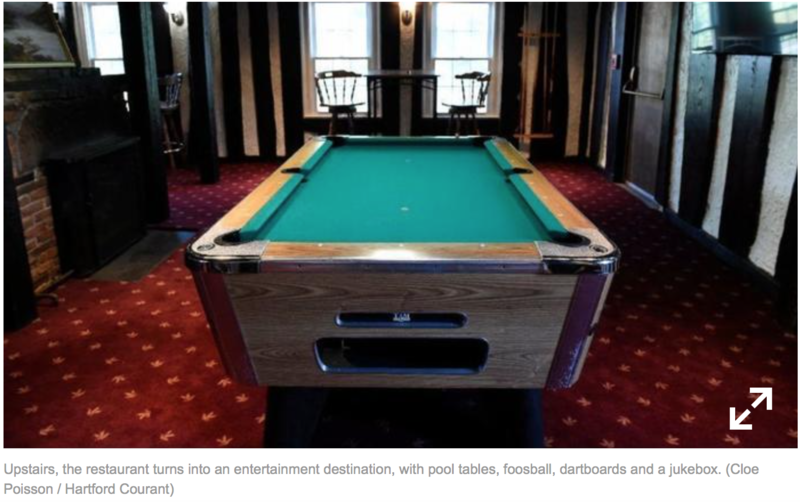 Upstairs, the restaurant turns into an entertainment destination, with pool tables, foosball, dartboards and a jukebox. FEATURED/NOTEWORTHY DISHES: La Familia’s menu is small, but “we’re trying to maintain the authentic and good quality of the food,” Mariela says. The restaurant’s standout items are traditional Bolivian dishes, like the pique a la macho, an entree of steak strips sauteed with red onion, peppers and spices. The beef is topped with jalapeños and served on a bed of fries, with a side of rice. 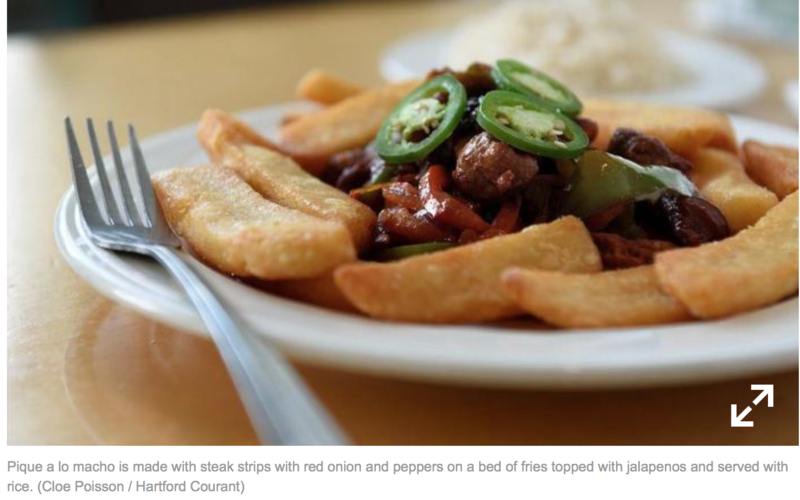 Diners have likened the dish to Peru’s lomo saltado, she says. Bolivia is also known for salteñas, a savory hand pie with meat, potatoes, egg and black olives. At La Familia, salteñas de pollo feature chicken cooked in a mild sauce, wrapped with the other hearty ingredients in a slightly sweet dough, then baked. Picante features a choice of chicken, beef or fish in a mild Bolivian chili sauce, garnished with red onion and tomatoes and served with rice and boiled potato. La Familia has been experimenting with shrimp in this dish, Mariela says, as a nod to Connecticut’s desire for seafood. Other beef and pork-centric dishes include majadito de carne, or shredded beef mixed with seasoned rice served with egg and fried plantains; keperi, or slow-cooked lime citrus-flavored brisket with rice and yuca and chicharon de chancho, or fried pork with Spanish rice and fried yuca. La Familia will continue to add dishes, Mariela said, advertising new plates and specials on its Facebook page. 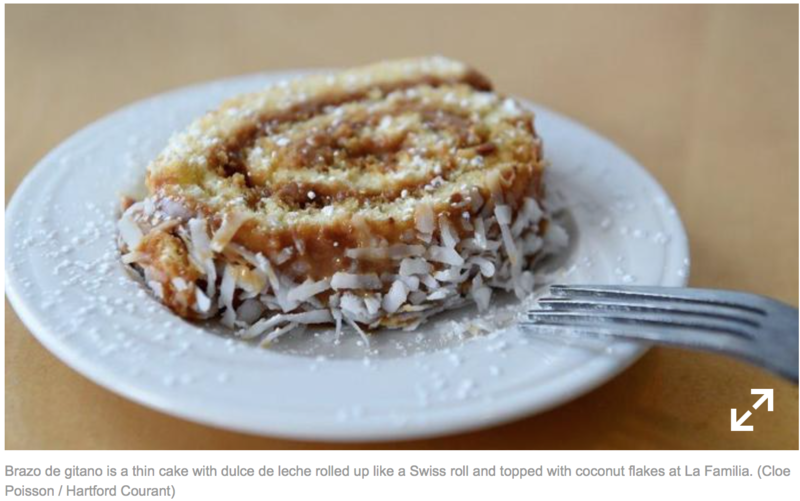 Desserts include rice pudding, ice cream, buñuelos (fried dough) and the recently introduced brazo de gitano, a Swiss roll-type dessert with housemade dulce de leche and coconut flakes. HOURS AND LOCATION: La Familia Bolivian Restaurant, 144 Albany Turnpike, Canton, is open Tuesday and Wednesday from 11 a.m. to 9 p.m.; Thursday from 11 a.m. to 10 p.m.; Friday and Saturday from 11 a.m. to midnight; and Sunday from 11 a.m. to 10 p.m. Closed Mondays. 860-693-6933, facebook.com/LaFamiliaBolivianRestaurant. This entry was posted in Bolivia and tagged Bolivian cuisine, bolivian food. Bookmark the permalink.